Tuesday’s verdict of an Indonesian court, sentencing Jakarta’s outgoing governor Basuki Tjahaja Purnama, known as ‘Ahok’, to two years in prison for blasphemy, has received widespread condemnation globally as politicians, academics and rights groups express their concern about religious pluralism in Indonesia. 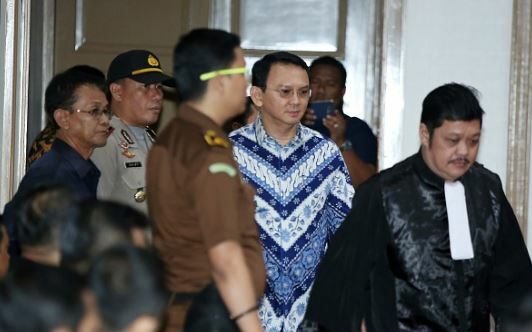 Ahok, the capital’s first Christian and ethnic governor since the 1960s, was charged with blasphemy after accusing his political opponents of using Qur’anic verses to stop Muslims from voting for him in the bid for re-election as Jakarta’s governor. Since the verdict was announced the streets in Jakarta have been filled with thousands of protesters. Supporters of Ahok dressed in red and white, the colors of the Indonesian flag, demanded his release. Acting governor Djarot Saiful Hidayat told the crowd to “fight for justice”. “Last night I met with Ahok and he wants me to convey this message: ‘We have to respect whatever the judges have decided, but the fight is not over yet’,” he told them. The court case was seen as politically motivated, the ruling illustrative of the growing religious intolerance in the world’s most populous Muslim-majority nation. Charles Santiago, chairman of the ASEAN Parliamentarians for Human Rights (APHR) who is also a member of the Malaysian Parliament, criticized the verdict: “Indonesia was thought to be a regional leader in terms of democracy and openness. This decision places that position in jeopardy and raises concerns about Indonesia’s future as an open, tolerant, diverse society,” he said. Ahok’s case and conviction again focuses the spot light on Indonesia’s ‘Blasphemy Law’. During the 32-year rule of Suharto, Indonesia’s late strongman, the laws were rarely invoked. But since the country’s transformation into a vibrant free-speaking democracy after Suharto’s was ousted in 1998, they have been used more frequently. According to The Economist the use of blasphemy laws is linked to rising religious intolerance. In recent years hardline Islamists have become increasingly assertive. Champa Patel, Amnesty International’s director for Southeast Asia and the Pacific, said in a response: “This verdict demonstrates the inherent injustice of Indonesia’s blasphemy law, which should be repealed immediately”. 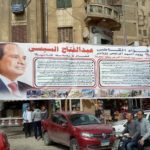 The Frankfurter Allgemeine, a German Daily, noted that the Court’s decision was “a victory for the advocates of political Islam” and had set the country on a path towards the presidential elections in 2019 under the growing influence of radical Islam. It expressed the hope that the moderates, under President Widodo, would be able to keep the country together. Following the sentencing of Ahok the Dutch MP Gert-Jan Seegers tweeted, calling the outcome “An injustice. A great injustice” and added that his party would ask the Dutch Minister of Foreign Affairs questions about it.